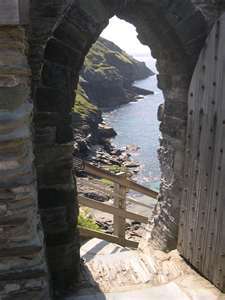 With The 2012 Summer Olympic Games scheduled to take place in England, I'm starting my review of Britain's most popular holiday spots..
Cornwall is a peninsula of granite, ancient and unspoiled, uncoiling for the best part of 75 miles into the open Atlantic. It is mainland Britain's most southern and western extremity. And as such, it is singularly blessed by climate. Where it touches the eastern edge of the Gulf Stream, it benefits unreservedly. Extremes of hot and cold are virtually unknown here; indeed the mean January temperature compares to many Mediterranean resorts. And for Britain that's really saying something ! 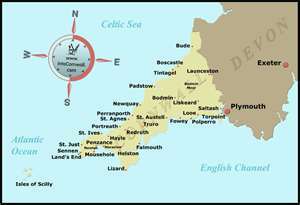 Retaining the highest concentration of ancient sites in Western Europe, evidence of Cornwall's antiquity is apparent wherever you look. Its Celtic place names, standing stones, festivals, hill forts, and 20 cliff castles are eloquent testimony to an eventful past. Legend has it that King Arthur received Excalibur from Dozmary Pool and defeated Cornwall's menacing giants. The stories can be traced back to the 11th century. Few places can claim so unusual or romantic a setting. Dozmary, Cornwall's largest freshwater lake, sits in a high remote hollow where valleys from Bodmin Moor run south to the sea. Legend has it that treasure lies beneath and that Giant Jan Tregeagle was sentenced to empty it with a limpet shell. Inland, on the granite uplands, are desolate stretches of moorland transformed in summer by a blaze of wild heathers and gorse. It is here that widespread archaeological evidences of Iron and Bronze age communities still stand. Among the most ancient and mysterious objects are the quoits, chambered cairns, stone circles, and upright stones. Equally impressive are the courtyard houses of the ancient village of Chysauster and at least 30 superb Iron Age hill forts dating from 500 B.C. 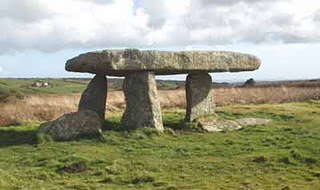 The quoits - ancient burial chambers - consist of several upright stones supporting an enormous horizontal capstone. Originally, these were fancied to be altars of the Druids. Circles of standing stones, such as the Merry Maidens, are said to represent ancient ceremonial meeting places, while ominous holed stones appear to mark entrances to graves. Several holy wells also remain, some with reputed powers, such as at Madron, where users still hang strips of rags on nearby bushes hoping their dreams will come true. Close by, on a windy hillside at Chysauster, lie the evocative remains of an ancient Romano-Cornish village with the oldest identifiable street in England. The ruins of the eight surviving houses - with their terraced gardens and even the remains of sleeping benches - offer an enduring impression of life here 2,000 years ago. Today Chysauster's only residents are the unusual species of birds that haunt this stretch of coastline and the wild flowers that carpet the ruins. In an area home to more than 2000 years of continuous mining activity, many more silent memorials remain. When foreign competition brought the collapse of tin and copper mining in the late 19th century, mines were abandoned almost overnight. 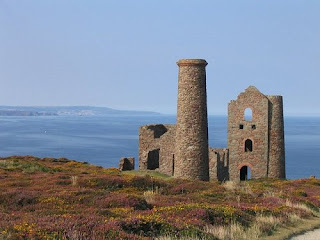 Mining was so important here that the coolapse nearly destroyed Cornwall's economy. Left to decay, the weathered ruins of failed mines offer a powerful and evocative image of bygone days. An isolated, and beautifully, renovated granite barn, on the bank of the wild and remote Dozmary Pool. The house is warm and modern inside and furnished to the highest standards. It has three double bedrooms, an open plan sitting room, dining area and kitchen with woodburning stove. There are 2 terraces overlooking the lake, the perfect spot for birdwatchers and water enthusiasts, just 10 metres from the waters edge. Approached by a narrow unmade lane, the fully glazed front door leads directly into the open plan living room with slate tiled floor. There is one ground floor bedroom with a double bed, lovely views of the garden and beyond to the lake, and an en-suite. In one corner of the lounge, an oak staircase leads up to the first floor landing where there are two further bedrooms with twin beds, oak flooring and good views over the lake and the surrounding countryside. The grounds are enclosed and the banks of the lake just a few feet beyond the garden wall. It is possible to launch canoes on Dozmary Pool and there is a natural right to roam on foot over much of the surrounding moorland. Jamaica Inn at Bolventor is 1½m away, and the surrounding villages of Altarnun, Blisland, St Breward and St Cleer all have local shops and pubs. The larger towns of Bodmin and Launceston are about 20 minutes drive.